Ada May Edwards was born in Sweetes Village in Antigua on June 9, 1911. Her early education was at the Sweetes Elementary School were she achives a 7 Standard Certificate. She was awarded a scholarship to study, she taught throughout the Caribbean. Singled out for her outstanding contribution to politics in the federation of St. Christopher and Nevis, Mrs Ada May Edwards has truly left a distinguished example for aspiring politicians to follow. First and foremost Mrs Edwards was an educator. Her teacher career started in 1930 at the age of 19 when she was employed as an Assistant Teacher. By 1938 she was promoted to Supervising Teacher. She was a School Inspector and local Examiner for London and Cambridge Universities. 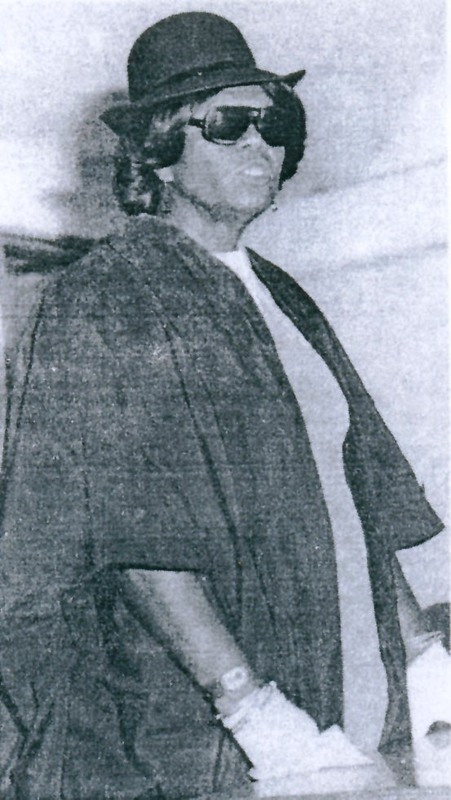 On September 1, 1966 Mrs Edwards became an Education Officer. It was in 1972 that Mrs Edwards had her first official contract with the world of politics when she became Executive Officer in the St. Kitts and Nevis Trades and Labour Union. Along with her dedication to Education her zeal for justice and fair play for the masses caused her to delve deeper into the political arena. As Acting Editor of the Labour Spokesman Newspaper from 1977 to 1978 she gained the perfect opportunity for the ventilation of her views through a popular medium. On December 21, 1978 Mrs Edwards was elected to parliament. Her election was significant for many reasons but was especially meaningful to women as she was the first female speaker of the house. She participated in the Third Session of the Thirty-First Parliament of the Legislative Assembly of Ontario in 1979 and the Fifteenth Caribbean Regional Conference of the Commonwealth Parliamentary Associated held in Nassau in that same year. As speaker of the House, her eloquence, brilliance and dignity were second to none. Mrs. Edwards departed life on October 11, 2004. Today, there have been 26 visitors (49 hits) on this page!